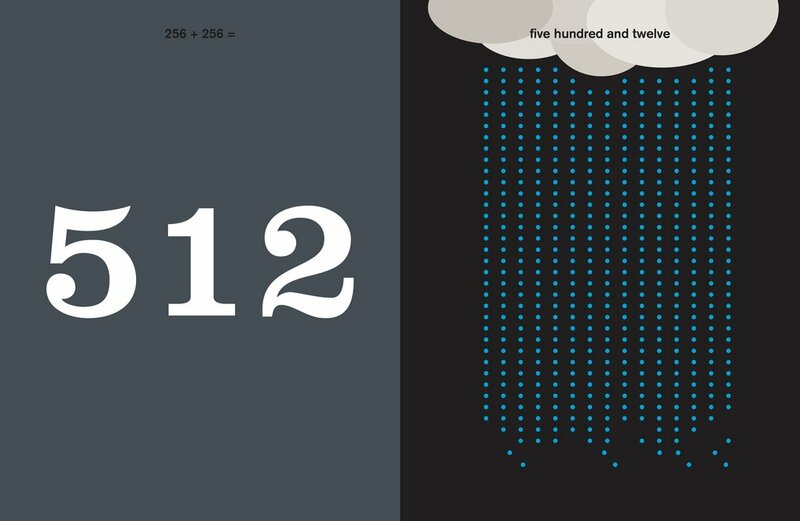 A stunning graphic visualisation of numbers, in which the number on each page is doubled, going from 1 to 1 million in 44 pages. We start with a single tree; 1. As we turn the page, we are presented with a sum doubling the number on the page before it: 1+1 = 2; 2+2 = 4; 4+4 = 8. In this way, we reach a million (actually 1,048,576) within 44 pages. Each sum is brought to life with a simple graphic illustration in the distinctive style of Sven Völker. The dots form the back of a ladybird, the bubbles in a cup of soda and the water in a swimming pool. On each page, a single neon dot illustrates what one means in the context of the sum. Gloriously simple in its concept and execution, this is a book that will bring mathematics alive to parents as well as children and will also make a stunning gift book. Sven Völker is a Berlin-based, award-winning graphic designer and illustrator. He has designed identities and campaigns for Suzuki, Volkswagen and BMW. His large scale installations have been exhibited in Norway, Prague, Basel and Bern. He is the author of Go Faster (Gestalten, 2010) and There’s a Little Black Dot on the Sun Today (Nord/Sud, 2015).